Join the fun as teams of students push beds on wheels while decked out in creative costumes at UT Arlington's "longest running" tradition. The 35th annual Bed Races begin at 7 p.m. Wednesday, Oct. 7, at Maverick Stadium. The Bed Races feature beds on wheels with five students—four pushing and one riding on the bed—competing in three categories: women's, men's, and co-ed. Individuals can register, too. Costumes are encouraged. Entry fees go to the Student Life Fund. There's also a field goal kicking competition. The event is sponsored by Campus Recreation and EXCEL Campus Activities. For more information, contact 817-272-2963 or excel-traditions@uta.edu. 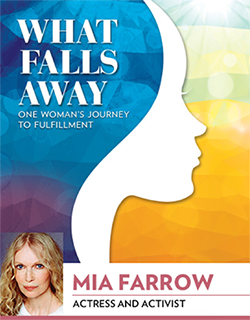 Tickets to see actress and activist Mia Farrow for the Maverick Speakers Series are still available online. Tickets are available now to see entrepreneur Daymond John at 7:30 p.m. Tuesday, Nov. 10, at College Park Center. An autograph signing will follow the lecture, "Shark Tank Entrepreneurship." Monitoring and enforcement of parking permits with MAVPark, the University’s new decal-free permit system, begin today. Owners of unauthorized vehicles are subject to a citation and a $50 fine. Read more about the MAVPark system and parking permits at uta.edu/mavpark. The parking spaces in the Trinity South parking lot will be reserved after 5 p.m. Thursday, Oct. 8, for Mia Farrow’s appearance for the Maverick Speakers Series. UT Arlington's 2015 Annual Campus Security and Fire Report is available online and in hard copy. The report contains information regarding campus security and personal safety such as crime prevention, fire safety, UTA Police law enforcement authority, crime reporting policies, disciplinary procedures, and other matters of importance related to security and safety on campus. The report also contains crime statistics for the three previous calendar years (2012-2014) concerning reported crimes that occurred on campus, in off-campus buildings or property owned or controlled by UT Arlington, and on public property within or immediately adjacent to and accessible from the campus. Required by law, the report is provided by the UT Arlington Police Department. For a hard copy of the 2015 Annual Campus Security and Fire Report, email campus_safety_report@uta.edu. 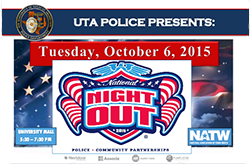 Join the UTA Police Department for the annual National Night Out event today, Tuesday, Oct. 6. Meet police officers and staff as well as campus leaders while learning crime prevention tips and emergency management and watching fire safety demonstrations. Enjoy free food, games, prizes, and more. The event is 5:30-7:30 p.m. on the University Center mall. The Office of Information Technology offers Pharos Mobileprint, an easy and convenient way for faculty, staff, and students to print documents, images, and emails while on the go, whether you’re using a tablet, smartphone, or laptop. Send your documents to a print-release station while you’re on your way to your next class, meeting, or presentation. Simply send an email to Mobileprint or log into your Pharos Print Center, upload your document, and release the print job from any one of the eight OIT print-release stations throughout campus. View the Mobileprint user guide. Homecoming 2015 includes two exciting Maverick basketball games, with one in Waco and the other at College Park Center. Make plans to cheer on the Maverick women's basketball team when they face the Baylor Bears for one of the UTA Homecoming games Friday, Nov. 13, at the Ferrell Center in Waco. Tickets are $15 for students and $30 for faculty, staff, and alumni. Price includes the game ticket, food, a T-shirt, and transportation to and from the game. Participate in the pre-game tipoff with food and activities 1:30-3 p.m. at Moritz Plaza at College Park Center. Buses leave for the game at 3 p.m. The game starts at 6 p.m.
Tickets will be available soon at uta.edu/homecoming along with other details about Homecoming 2015. Purchase your ticket by Monday, Nov. 2. Questions? Student Affairs has answers at 817-272-6080. Some UT Arlington community members have received email messages with the subject line "Dear E-mail User, The University of Texas at Arlington Webmail update." This is a malicious email—known as "phishing"—and was sent by someone not affiliated with the University to steal personal information through a legitimate-looking email message. The Information Security Office offers these phishing warning and safety measures. UT Arlington's Fourth Annual Pride Week offers a serious discussion and a fun show this week, hosted by the LGBTQA Program. All events are in the E.H. Hereford University Center. Listen to LGBTQA students talk about their study abroad experiences 12:30-2 p.m. today, Tuesday, Oct. 6, in the Guadalupe Room. Join a conversation on “Exploring the Genderqueer Community” noon-1 p.m. Wednesday, Oct. 7, in the Concho Room. Hear a panel discussion on being LGBTQA and spirituality 5:30-7 p.m. Th­ursday, Oct. 8, in the Guadalupe Room. Enjoy an evening of glitz and glamour at the Third Annual Drag Show 7-9 p.m. Friday, Oct. 9, in the Rosebud Theatre. The show benefits the LGBTQA Scholarship. Also in October is National Ally Week, Oct. 12-16; Pledge Against Bullying, Thursday, Oct. 15; Intersex Awareness Day, Monday, Oct. 26; and Asexual Awareness Day, Thursday, Oct. 29. Flu vaccines are now available at the Health Services Center. 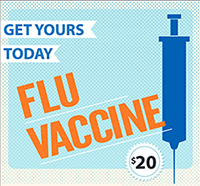 The vaccine costs $20 and is fully covered by student health insurance (Academic Blue). No appointment necessary; walk-ins are welcomed. The immunization clinic hours are 8:30 a.m.-noon and 1-4:30 p.m. Mondays-Fridays. For more information, visit www.uta.edu/healthservices or call 817-272-2771. Attend the McNair Scholars info session and open house to learn about the federal initiative designed to prepare eligible undergraduates for successful graduate study culminating in the Ph.D. and a university teaching career. The info session is noon-1 p.m. Wednesday, Oct. 7, in Room 104 of Preston Hall. The open house is 11 a.m.-1 p.m. Wednesday, Oct. 14, in Room 202 of Ransom Hall. The program offers scholarships, GRE preparation, travel to undergrad research conferences, and opportunities to explore careers in university teaching and research. Graduate students and young professionals are encouraged to apply for Leadership North Texas University. The program is an emerging leaders summit for young professionals aimed at recruiting, educating, and developing the future leaders of the Dallas-Fort Worth region. The summit is a three-day overnight retreat Wednesday-Friday, Dec. 2-4. Applications are due Saturday, Oct. 31. Parking spaces in Lot 49 between Cooper and West streets and north of Mitchell Street will be reserved for the Bands of America event parking on Saturday, Oct. 10. Additional parking is available in Lot 47, F10, and surrounding lots. Invite the family to come to Maverick Country for Parent and Family Weekend, Friday-Sunday, Oct. 23-25. The weekend features a long list of events that allow students to show their families what it's like to be a Maverick. Activities include faculty spotlights, a fall festival with live music, glass-blowing demonstrations, Movin’ Mavs basketball, and more. Students and children under 10 are free. All others are $30 per person. Everyone who attends will receive a free T-shirt, breakfast, and dinner and can participate in most activities at no extra cost. Register online through Wednesday, Oct. 21. Put your name on the ballot for the upcoming student elections. Open positions include Homecoming king and queen, Student Congress senators, and UTA Ambassadors. Individuals wishing to run for any of the above positions must file by 5 p.m., Thursday, Oct. 15, in the Student Organizations Office, Suite B120, E.H. Hereford University Center. Learn more. Nominate Homecoming king and queen candidates by emailing John Hillas at hillas@uta.edu with the student's name, email, and organization. Voting is Monday-Tuesday, Nov. 2-3, in the University Center Gallery. For more information, call 817-272-2293 or visit uta.edu/sao. At top, Zach Allen, left, from Arlington-based Alterity, Inc. talks with Eva Counts, information systems senior, at the All-Majors Job Fair last Tuesday at the Maverick Activities Center. At bottom, Janesha Dotson, a litigation analyst at Nationstar Mortgage and a 2010 UTA graduate, makes a point with Shayan Qayum, finance junior. The event draws close to 2,000 students and alumni who connect with hiring companies such as American Airlines, Amazon, and Sabre Corporation. The last town hall meeting focused on campus carry legislation is at 9:30 a.m. Tuesday, Oct. 13, in the Bluebonnet Ballroom of the E.H. Hereford University Center. UT Arlington hosts the meetings to gather ideas, suggestions, and feedback from the campus community about the implementation of Senate Bill 11 (SB 11), better known as “Campus Carry,” at UTA. Feedback from the town hall meetings will assist in developing UT Arlington’s campus carry policy to ensure a safe and secure campus environment. For more information, go to uta.edu/campuscarry for meeting dates and locations, frequently asked questions, information on the legislation, and a survey to complete if you are not able to attend one of the meetings. The Office of Information Technology is testing the new Mac OS X El Capitan and its compatibility with all other software. El Capitan was released by Apple on Sept. 30. Do not upgrade your Mac OS without contacting OIT for assistance. Once testing is completed, OIT will release its recommendations to the University. Due to the rapid growth in the use of smartphones, tablets, and Apple devices, there has been a significant increase in demand on the Outlook Web App (OWA) for email. You may experience brief, intermittent delays or receive a gray outage screen when trying to send or receive emails. During this interruption, inbound emails will be queued until the connection is restored. The Office of Information Technology is working on a permanent solution that includes upgrades to the Outlook servers. Look for updates about the upgrades in MavWire. For more details, go to the OIT website. The All-Sports Pass gives you access to more than 100 on-campus Maverick athletic events. For only $25, you can watch the action for volleyball and basketball at College Park Center, baseball at Clay Gould Ballpark, and softball at Allan Saxe Field. Individual tickets for these games are $3 each. To purchase the All-Sports Pass, go to utatickets.com. 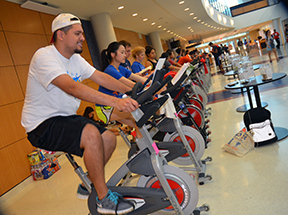 Wheels were rolling from noon to midnight for last week's Cyclethon at the Maverick Activities Center as part of World Heart Day. Twenty teams kept the cycles in motion to raise $1,020 for the American Heart Association. Delta Delta Delta sorority won the competition. The Graduate School Expo brings advanced degree information to anyone considering graduate or professional school. The event is 10 a.m.-2 p.m. Tuesday, Oct. 13, in the Rio Grande Ballroom of the E.H. Hereford University Center. Meet with representatives from UT Arlington's graduate programs and other Texas colleges and universities at the graduate and professional school fair. Two presentations on the UTA graduate admission process and funding graduate school at UT Arlington are at noon and 1 p.m.
Register online to attend the Graduate School Expo. Cast stone repairs in the College Park District continue through the end of November. Center Street will be reduced to one lane of traffic 9 a.m.-4 p.m. between Abram and First streets. The sidewalk on the east side of The Lofts will be closed 9 a.m.-4 p.m. to pedestrian traffic. The Lofts’ east-side entrance and exit doors will be closed during construction and only available in an emergency. The ATM on the north side of Texas Trust will not be available. Direct questions to Don Lange, director of auxiliary operations and logistics, at donlange@uta.edu. Last day to drop classes for fall. Grade exclusion and grade forgiveness sites close. Many undergraduate students can view their midterm progress reports in their MyMav Student Center now through Monday, Oct. 19. You can view your grades as soon as your professor enters them. Check your UTA email account to see if you will receive midterm grades, then meet with your academic adviser to discuss your progress and explore campus resources. Finalize your privacy setting in MyMav by Friday, Oct. 23, to have your name included in the printed souvenir Commencement booklet and the Graduation edition of The Shorthorn. The privacy setting in MyMav on that date will be used to determine if your name is included in the Commencement booklet for fall graduation in December. The schedule of classes for spring is largely complete but is still subject to modification. Plan to validate your course selections when registration opens. Priority registration opens Monday, Nov. 9. Grade exclusion and grade forgiveness requests can be made for eligible students for fall term processing through Wednesday, Nov. 4. Contact your academic adviser for eligibility information. The Maverick Theatre Company presents The Theory of Relativity, a new musical that explores the interconnectedness of our personal orbits as we stand on a little rock hurtling through space. The cast includes theatre majors Paulie Cocke, Alexander Pope, Kelly Stewart, Brian Boyce, Tyler Carson, Marcos Villegas, Bailey Venable, Elizabeth Stevens, Alexandria Fazzari, Austin Bender, Hailee Draughon, Haley Boswell, Tiffany Sellers, Arturo Martinez, Tyler Moore, and Kevin Dang. Director and musical director is Assistant Professor Anne Healy with D.J. Badon as scenic designer, Jared Land as lighting and sound designer, and Elly Hunt as costumer. Whitley White-Body is stage manager, and Megan Gates is assistant stage manager. Performances of The Theory of Relativity are at 8 p.m. Wednesday-Saturday, Oct. 7-10, and 2:30 p.m. Sunday, Oct. 11. Performances are in the Mainstage Theatre of the Fine Arts Building. Tickets are $12 for general public and $9 for students/senior citizens/UTA faculty and staff. For tickets, reservations, group rates, or more details, contact the Theatre Arts box office at 817-272-2669 or uta.edu/theatre. Tail-Waggin' Wednesday Students, faculty, and staff can take a break filled with unconditional love from registered therapy dogs. Free. 10 a.m.-2 p.m., sixth floor, Central Library. UT Arlington Libraries. 35th Annual Bed Races The Bed Races feature beds on wheels with five students—four pushing and one riding on the bed—competing in three categories. Free admission. 7 p.m., Maverick Stadium. Campus Recreation, EXCEL Campus Activities. Guest Piano Recital A performance by Kent Lyman of Meredith College. Free. 7:30-8:30 p.m., Room 105, Fine Arts Building. Music. Pride Week: 3rd Annual Drag Show Hosted by DFW drag superstar Kiana Lee. Free. 7-9 p.m., Rosebud Theatre, E.H. Hereford University Center. LGBTQA Program. Volleyball Mavericks vs. Texas State. Dig Pink Game, Pink Shirt Handout, National Medical Professional Night, New Maverick Employee Night, Maverick Club Pre-Game Reception. Tickets $5; $3 with student ID. 6:30 p.m. Thursday, Oct. 15, College Park Center. Athletics. Interactive Wellness Expo 10 a.m.-2 p.m. Tuesday, Oct. 20, Palo Duro Lounge, E.H. Hereford University Center. Health Services. Parent and Family Weekend Parents and families spend a weekend on campus visiting their students’ residence halls and classrooms, listening to faculty presentations, and participating in a variety of fun activities. Schedule. Register online. Friday-Sunday, Oct. 23-25. Parent and Family Center. Maverick Speakers Series Daymond John speaks on "Shark Tank Entrepreneurship." Free general admission, but tickets required. Premium, season, and VIP ticket packages include reserved seats, parking, and more. Tickets now available at utatickets.com. 7:30 p.m. Nov. 10, College Park Center. Also, Ron Paul, Feb. 2; Donna Brazile, Feb. 25; and Jane Goodall, March 31. Maverick Speakers Series. Gallery 76102: Tshuchigama/Earthen Kiln Tshuchigama or “dirt kiln” is recognized by scholars as Japan's earliest high-fire kiln type. Free. 11 a.m.-3 p.m. Tuesdays, Wednesdays, Saturdays; 4-8 p.m. Thursdays and Fridays, Gallery 76102. Through Oct. 10. Fort Worth Center. Ornament and Adornment: The Decoration and Application Techniques of African Masks Examine the design and style of decorations on African masks from the Dowdey-Campbell and Brodie African Art Collections. Gallery hours 8:30 a.m.-5 p.m. Mondays-Fridays. Through Dec. 9. Visual Resources Commons, Room 2109, Fine Arts Building. Art and Art History. 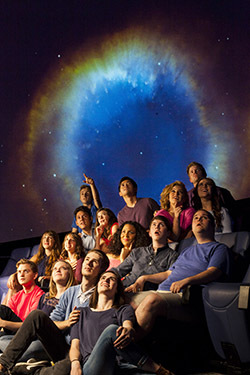 Planetarium Three new shows—Sofia 3-D, Cosmic Origins Spectrograph, and From the Earth to the Universe—are part of the fall schedule. Also showing are Astronaut, Pink Floyd, and Spacepark 360: Infinity. Planetarium. Breast Cancer Awareness Day 10 a.m.-2 p.m., Palo Duro Lounge, E.H. Hereford University Center. Health Services. Study Abroad 101 Information Session Learn about opportunities to study abroad. Noon-1 p.m. Sabine Room, E.H. Hereford University Center. Also, Wednesday, Oct. 14, and Nov. 4. Study Abroad. Chat with CAPS Visit with counselors in a casual environment. 11 a.m.-2 p.m., Palo Duro Lounge, E.H. Hereford University Center. Health Services, Counseling and Psychological Services. Food for Thought: Motivation Becky Garner, right, clinical assistant professor of kinesiology, presents an interactive program about motivation to fit your exercise program with your lifestyle. Noon-1 p.m., Room 213, Maverick Activities Center. Campus Recreation. Architecture Lecture Signe and Jason Smith discuss “Love + Architecture.” Free. 4 p.m., Room 204, Architecture Building. Architecture. Intro to Non-Academic Careers Examine how to find and prepare for a non-academic career using the skills you attained in graduate school. Register online. 4-5:30 p.m., Room 601, Nedderman Hall. Also, 5:30-6:30 p.m. Thursday, Oct. 8, online; register online. Graduate Studies. CAAS Lecture "Backing Black & the Blue" addresses the topic of police encounters with persons of color and provides students and community members with information to be more comfortable when interacting with law enforcement personnel. 5:30 p.m., Bluebonnet Ballroom, E.H. Hereford University Center. Center for African American Studies. Women's and Gender Studies Lecture Kathryne Beebe, assistant professor of history, and Anna Nogar of the University of New Mexico discuss “Transported in Spirit: Visionary Travel in the Old World and the New." Free. 12:30-2 p.m., sixth floor, Central Library. Women’s and Gender Studies, Center for Southwestern Studies. Earth and Environmental Sciences Lectures Julia Morgan of Rice University is guest speaker. 4 p.m., Room 100, Geoscience Building. Also, Thomas Darrah of Ohio State University, Oct. 15; Bob Gregory of Southern Methodist University, Oct. 22; and Bastian Georg of Trent University, Oct. 29. Earth and Environmental Sciences. M.S. in Health Care Administration Info Session Learn more about the accelerated, cohort-based program designed for professionals in the health care industry. Register online. 6 p.m., Fort Worth Center. Business. Gilman Scholarship Symposium Learn about opportunities to study abroad at a panel discussion about the U.S. Department of State’s Gilman Scholarship Program. Rachel Croson, dean of the College of Business, leads the panel, which includes a former supply chain executive with experience in China, and Emmanuel Offei, a business undergraduate and former Gilman Scholar. 5:30-7:30 p.m., Room 142, Business Building. APICS Student Chapter at UTA, Business. Graduate Business Forum Learn about graduate degree programs in the College of Business. Register online. 9:30 a.m.-noon, Room 147, Business Building. Business. Safe Zone Ally Training Learn to create a visible network of support for lesbian, gay, bisexual, transgender, questioning individuals, and their allies. Register online. 1-4 p.m., Sabine Room, E.H. Hereford University Center. Also, 9 a.m.-noon Monday, Nov. 16, Guadalupe Room, University Center. LGBTQA Program. Creating an Online Exhibit Graduate students can learn how to create professional online exhibits to enhance their academic presence by sharing primary source collections or publishing academic writing. Or use to build inquiry-based tasks for students or create lesson plans with accompanying sources. Register online. 2-3 p.m., Room 315A, Central Library. Graduate Studies. Mathematics Colloquium Series Weiqiang Wang of the University of Virginia is guest speaker. 3 p.m. Oct. 16, Room 311, Pickard Hall. Also, Patrick Shipman of Colorado State University, Nov. 6. Mathematics. RAD Self-Defense for Women Self-defense course for female faculty, staff, and students. Register online. Free. 9 a.m.-6 p.m. Saturday, Oct. 17, Room 102-B, Maverick Activities Center. Also, Nov. 7. UT Arlington Police. Word for Theses and Dissertations Workshops Learn advanced features in Word 2007/2010 that will make meeting dissertation and thesis formatting requirements a less arduous process. Register online. 2-3:30 p.m. Monday, Oct. 19, Room 315A, Central Library. Also, 6-7 p.m. Thursday, Oct. 22; ﻿register online. Graduate Studies. Hermanns Lecture Series Guest speakers address the literature of life writing including diaries, letters, memoirs, social media, and comic books. See the schedule. 9:30 a.m.-5 p.m. Friday, Oct. 23, sixth floor parlor, Central Library. English. Women's and Gender Studies Symposium Speakers include Whitney Peoples, Provost Post-doctoral Fellow in Women's and Gender Studies, and Ana Louise Keating of Texas Woman's University addressing the theme "Minding the Field: Exploring and Expanding Women's and Gender Studies in North Texas.” 9 a.m.-5 p.m. Thursday, Oct. 29, sixth floor, Central Library. Women’s and Gender Studies. 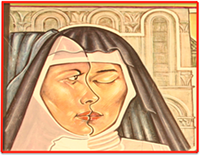 Lunafest 2015 Watch short films produced and directed by and for women. $5. 7-9 p.m. Thursday, Oct. 29, Lone Star Auditorium, Maverick Activities Center. Women’s and Gender Studies. UTARI Lunch and Learn Register online. Shuttle available. Lunch provided. Noon Friday, Oct. 30, UTARI, 7300 Jack Newell Blvd. S., Fort Worth. UT Arlington Research Institute. 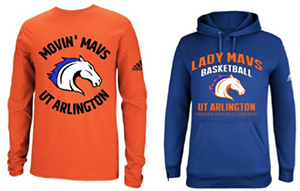 Movin' Mavs gear: Wear your Maverick pride with shirts and hoodies supporting the Movin' Mavs and Lady Mavs adaptive sports teams. Order your choice of tank, long- or short-sleeved T-shirt, or hoodie by Sunday, Oct. 18. Orders will be delivered by Wednesday, Nov. 14. A portion of sales goes back to the UTA program to support travel, tournaments, and scholarships. UTA won its sixth consecutive home match Saturday with a 3-1 victory over Arkansas-Little Rock at College Park Center. Sophomore Qiana Canete led the way with a career-high 23 kills. On Thursday, the Mavericks defeated Georgia Southern 3-1. Senior Stacey Koch had a match-high 15 kills, and junior Cassidy Wheeler notched 45 assists. UTA improved to 13-5 overall and 4-2 in Sun Belt Conference action. Next up are road matches at Texas State at 6:30 p.m. today, Tuesday, Oct. 6, in San Marcos and at Appalachian State on Saturday, Oct. 10, in Boone, N.C. The women’s cross country team finished as the runner-up, while the men grabbed third place Friday night at the Longhorn Invitational in Austin. Seniors Gabriela Alfonzo and Katelyn Hayward paced the women, as both recorded top-five finishes among the 64 entrants. For the men, sophomore Michael Guerrero was ninth among 65 runners. The Mavericks take a week off before competing in their final pre-Sun Belt Conference Championship race of the season, the Crimson Classic, on Friday, Oct. 16, in Tuscaloosa, Ala.
Upcoming intramural sports deadlines are fantasy basketball, Friday, Oct. 16; 4-on-4 basketball, Wednesday, Oct. 21; table tennis, Thursday, Oct. 22; drop-in basketball, Monday, Oct. 26; and Halloween ultimate disc, Friday, Oct. 30.